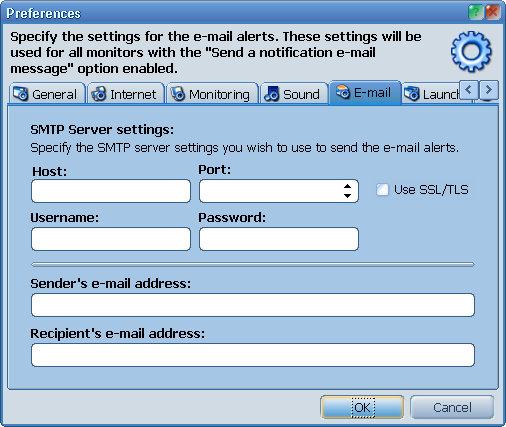 Then enable the Send a notification e-mail message option for every monitor you wish. This option is on the Alerts tab of the monitor editor dialog. Also you can override the e-mail settings personally for any monitor. See the Override E-Mail Settings button on the Alerts tab of the monitor editor dialog.